Last year we saw something incredible in the NHL. Riley Sheahan of the Detroit Red Wings played 79 games and took 106 shots on net without scoring a goal. Stories were written, fans were left in disbelief and Sheahan just had to go out every night and try to get one across the line. Finally, on April 9th in his 80th and final game of the season Sheahan scored—twice. It’s not like Sheahan had done anything like it before. He’d had seasons of 9, 13 and 14 goals the first three seasons of his career. He actually carried an above-average shooting percentage of 11.9% through that time. He was no sniper, but he could be a solid secondary scoring threat. This year there are several players that can relate with Sheahan, including one that has a solid link to him. Sheahan didn’t score his first goal this year until a trade brought him to Pittsburgh. 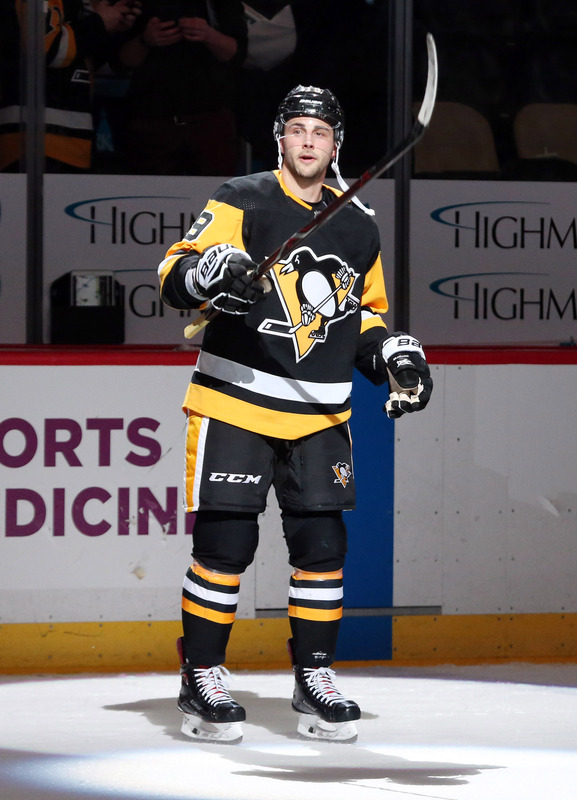 He has two now on the year, and eight points in 21 games for the Penguins. The player he was traded for though hasn’t been quite as lucky. Scott Wilson, traded first for Sheahan and then again to the Buffalo Sabres later in the season, has now played 21 games this season. In those games he’s registered 172 minutes of ice time, including over 14 in his first game with Buffalo. Amazingly, he’s been held completely scoreless. Not a single goal, not a single assist. Wilson leads all scoreless forwards in games played, but there are some other interesting members along for the ride. Matt Stajan, a two-time 50-point man has played 19 games without a point. He’s played even more minutes, 210, without hitting the scoresheet—well, at least not for scoring. Stajan has taken 10 penalty minutes, something that you can’t say for Wilson. Incredibly, the Buffalo Sabres forward hasn’t even taken a single minor penalty. Other than the 14 shots he’s recorded, he’s basically been a boxscore ghost. There are other forwards who are on the list, like Zac Dalpe, Torrey Mitchell and Matt Beleskey but none of them hold a candle to the leader when expanded to include defensemen. Erik Gudbranson, the Vancouver Canucks’ rough and tumble defenseman has logged 372 minutes of ice time this season and still has a big fat zero in the points category. Gudbranson isn’t an offensive player. That much has been obvious his whole career, and it wasn’t why the Canucks went out and acquired him from the Florida Panthers. But this is impressive even for him. He’s always been a lightning rod for the argument between traditional and new analytics, but he’s actually reached a new low in his possession rates. As an unrestricted free agent this summer, some believe he’ll be a sought-after trade deadline commodity. It doesn’t matter if he has zero points or a handful when the trade deadline comes around, it really doesn’t change the player he is. But for the third-overall pick in 2010 it’s an impressive accomplishment, even if he wouldn’t agree. The Detroit Red Wings era for forward Scott Wilson will come to a quick end, as the team has traded him to the Buffalo Sabres in exchange for a 2019 fifth-round pick. Wilson was acquired by the Red Wings just this season as part of the Riley Sheahan trade, and will move on after just 17 games with the club. Wilson, 25, is scoreless this season through 20 games but showed last year that he’s capable of adding some secondary scoring if given the chance. With 78 games in his first full season with the Pittsburgh Penguins, he scored 26 points in limited minutes and added another six in the playoffs. He played fewer than 10 minutes in all but three of his games with Detroit, but will likely be afforded more ice time in Buffalo. 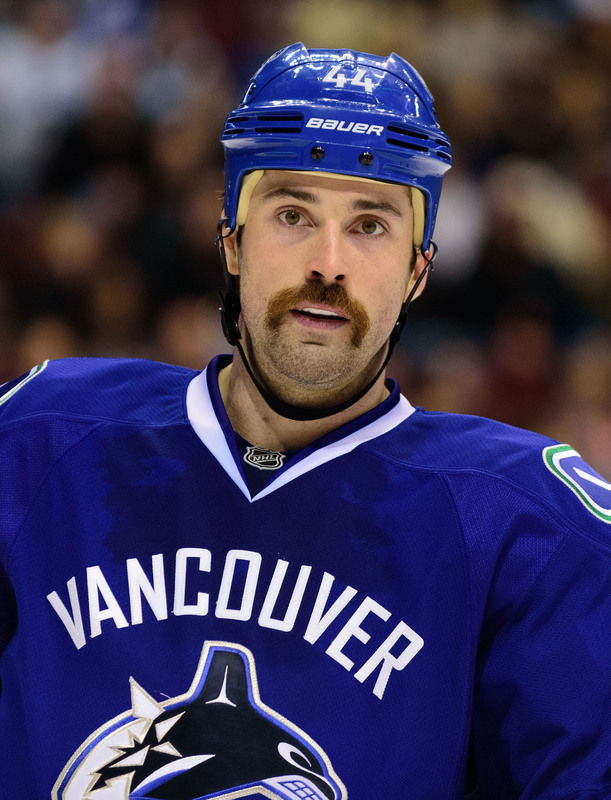 With just a $625K cap hit in the second year of his current contract, Wilson will be a restricted free agent at the end of the season. Though his early play hasn’t done much to help his case, a good second half with Buffalo could put him in line for a multi-year deal as a valuable bottom-six player. With the Sabres waiving Matt Moulson today, there is clearly a change coming in Buffalo. Wilson will be reunited with GM Jason Botterill, who previously worked with the Penguins when Wilson was working his way through the minor league system. He’ll also join Evan Rodrigues, a former teammate with the Georgetown Raiders of the OJHL. Both played in that league partly to maintain their NCAA eligibility, heading to UMass-Lowell (Wilson) and Boston University (Rodrigues). With Rodrigues just called up this morning, there’s a possibility the pair even plays together right away. 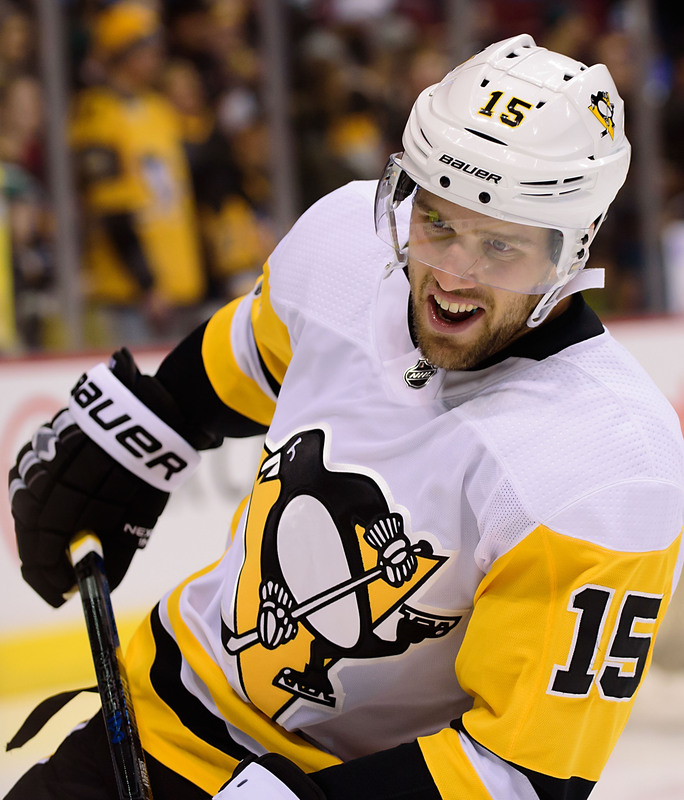 The Red Wings had sent a fifth-round pick along with Sheahan to the Pittsburgh Penguins, which they’ve now basically reclaimed with the deal to Buffalo—though, the original pick was for 2018, meaning they’ve moved back a year. For a team that was shellacked on the weekend and is beginning to show cracks in their early season success, Detroit is committed to adding future assets even as they attempt to make the playoffs. Whether Botterill and company see Wilson as a piece long-term will be decided before next season, but there was clearly an impression made on him in the past to use an asset at this point in the year. The Sabres are almost completely out of playoff contention already, and are just looking for some consistency or improvement at this point. Wilson is nothing if not a hard worker, and could inject some energy into the team right away. Whether that translates into points is still to be seen.